We would like to express sincerely thanks to you for your subscription to our FiinPro Platform. We believe that it provides useful data and enhances the efficiency of your operations. Our passion under Financial Information Services (“Fiinform”) has been set clearly: “Innovative Always”. Under our development pipeline, there will be more features, tools and data added to the FiinPro. Users can easily generate Company Insight Report in various forms and direct to emails for quick references. Not only listed companies but any from the database of over 2000 public companies. A panorama of Vietnam market with over 100 indices and data groups dedicated to Vietnam. It visualizes data, reduces latency, giving you unique data about Macroeconomic, Monetary Markets, State Budget Revenue, Balance of Payment, and so on. 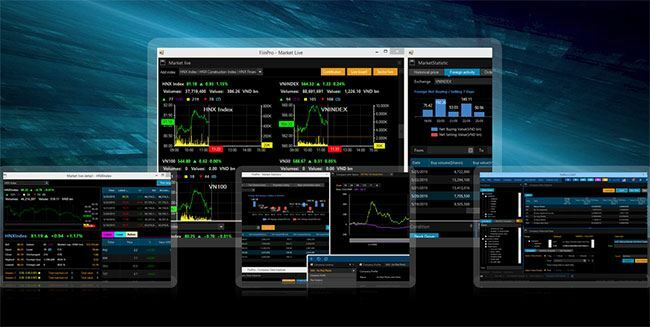 Users can feed adjusted prices and related market data for specialized technical analysis softwares including AmiBroker and Metastock. Fund-flow tracking data of 02 ETFs including Market Vectors Vietnam (VNM) and DBx -trackers FTSE Vietnam (DBx) ETFs. The feature allows customers to use designed data template about Earnings, Corporate Bond Issue, Share Issue, Cash Dividend, IPO, Board of Director, and Major Shareholders and much more. How to upgrade? Users can upgrade to FiinPro version 1.0.4 from 00h00 January 05, 2016. Step 1: Close and reopen your FiinPro platform. Step 2: “Check to update” window will appear. Click “OK”. Note: “Skip” button is to ignore the upgrade if you do not want to. However, we strongly recommend you upgrade FiinPro to use it in most effective way. We will update the whole system on 04/01/2016, start at 5:00 PM to 11:59 PM. Please be informed that, the system should be down for the upgrade, and users cannot use FiinPro® Platform during this time. We are sorry for any inconvenience and would like to welcome you come back and upgrade FiinPro® after the time slot above.